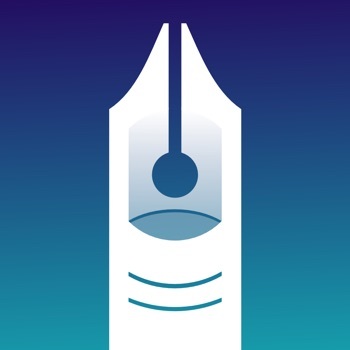 InkFast is a powerful yet simple multi-touch note taking and vector drawing app for iPad and iPhone. See the demo video at http://inkfa.st Simple Just want to write notes? Use your finger and draw - it's that easy. The pen width adjusts automatically to your writing size, letting you focus on the task at hand. Next-generation curve smoothing captures your drawings in a fluid, natural way. Title your notes so you can easily find them again - just tap the title field and write with your finger. Easily organize drawings by assigning tags to group them in ways that make sense to you. Powerful InkFast's advanced gesture system stays out of your way when you don't need it, and works like magic when you do. Circle and tap to select - then move, resize, rotate, clone, and stamp using natural, common gestures. Selections in InkFast behave like real physical objects, so you can interact with as many as you like at the same time. Zoom in quickly for fine detail - or make a tapestry of your notes at different sizes. InkFast's zoom is effectively unlimited, up to 10¹⁰⁰ X in most cases (that's not a typo). Fast A responsive, liquid interface lets you forget you are using a digital device at all. Drawings of any size open instantly, and even the most complex operations happen as quickly as you invoke them. If you don't have the most current device, InkFast still maintains its blistering speed - even on the very first generation iPad.